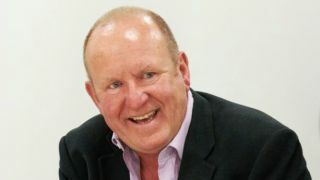 Ian Livingstone argued that videogames are a tool for good, not a catalyst for evil at the Culture Media and Sport Select Committee meeting on preserving the UK games industry yesterday. The Eidos Life President claimed that the potential for games in education is often disregarded or misunderstood by media and government, which instead blame games for society's ills. "When you're playing a game you're solving puzzles and problems, you're learning about choice and consequence, you're learning about technology," Livingstone said. "Games can be a learning tool to teach mathematics. Games can be used as a training tool for pilots, for the armed forces, for surgeons. Games technology is all pervasive." As the writer of the 1980s Fighting Fantasy RPG books and co-founder of the Games Workshop chain, Livingstone has a long history with games and was received a CBE in the 2013 New Year's honours list. Livingstone went on to provide statistics undermining a link between videogames and violence, saying: "Japan's spending is twice that of the US, per capita, on playing games - and yet its firearm death toll is 0.07 per 100,000, while in the US it's 10 per 100,000. "That's a hundred multiple of firearm deaths in the US. Clearly it's not linked to videogames. Any time anyone tries to link something heinous to video games, there are no facts, just emotion."